In the conversation around lowering the prison population in the United States–which incarcerates people at the highest rate in the world–one solution always floats to the top: decriminalizing drugs. In the U.S., police arrest around 1.5 million people per year on drug offenses, 80% of whom are detained for possession alone. Rolling back penalties for drug-related activities would allow the money saved on incarcerating people to instead go toward rehabilitation programs and mental health assistance, which have shown to be drastically more effective at addressing root causes of drug use than putting someone in a cage. But would drug decriminalization substantially reduce the overall prison population? The question is more complicated than it seems when accounting for the radically different ways individual states incarcerate people. In Arizona, for instance, where drug laws are more punitive, reducing admissions for drug-related offenses by 50% would drive down the prison population by 11.7%. In California, where drug laws are already more progressive, this would result in just a 1.5% decrease. To help policymakers at the state level understand the various levers they could pull to reduce their respective prison populations–and how effective those levers would be–the Urban Institute has released the Prison Population Forecaster, an interactive tool that models how different policies would impact state prison populations up until the year 2025. To build the tool, Bryce Peterson, lead researcher on the project, pulled publicly available data from the National Corrections Reporting Project, which is collected by the Bureau of Justice Statistics annually from various corrections departments across the country. While the data is fairly robust, Peterson says, some states, like Arkansas and Hawaii, do not report enough data to be included. As the admission rate and length of stay for each type of offense changes, a graph in the center of the Forecaster page adjusts to show how the state’s prison population would change in response. The biggest reductions in prison populations across states, Peterson found, came from reducing sentences for violent offenses. “If your end goal is to reduce the prison population or slow down mass incarceration, the main way you’re going to be able to do that is to address long sentences for violent crimes,” Peterson says. That, he found, would also save states money: The Forecaster also calculates an estimate of how much money a state will either save, or have to earmark, following the adjustments. “Criminal justice reform is a big conversation now,” says Bryce Peterson, lead researcher on the Forecaster for the Urban Institute. “We saw this tool as a way to help guide that conversation.” For policymakers, the tool functions as a way to test the efficacy of their proposed solutions before they take effect–and for regular citizens, it’s a useful way to understand the potential effects of a policy they might be voting on at some point. What’s particularly important to Peterson is that the Forecaster performs analysis on the state level. While mass incarceration is often discussed in national terms–because again, the U.S.’s dismal position at the top of global rankings of incarceration rates is a subject of national distress–the remedies to it are largely enacted at the state level. To that end, American Civil Liberties Union partnered with the Urban Institute to develop a set of blueprints for each state to follow, as part of its Campaign for Smart Justice. 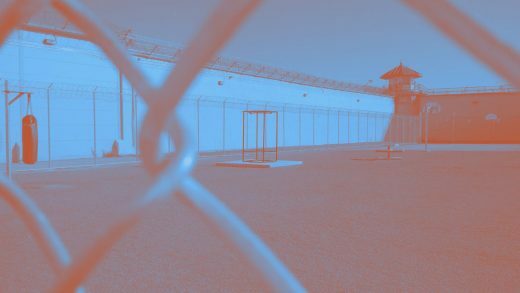 The blueprints all follow a similar format, but the ACLU dove into the Urban Institute data to issue a set of recommendations for reducing prison populations that are particular to each state. Per Peterson’s findings, many of them focus on reducing sentence lengths for violent offenses, but each state also shows particular areas that could be addressed to help reduce the reach of mass incarceration. In Louisiana, for instance, a state that is often at the top of the rankings for wrongful convictions, the ACLU recommends that the state implement an oversight body for its prosecutors’ offices to ensure that sentences are actually commensurate with the crime. Additionally, drug-related offenses contribute significantly to the state’s prison population, and the ACLU recommended implementing more comprehensive substance-abuse treatment programs as an alternative to incarceration. Oregon, on the other hand, maintains very strict mandatory minimum sentencing ordinances that make it impossible for people to reduce their time inside via good behavior or participation in rehabilitation programs; the ACLU recommends a reform to those laws, especially for youth offenders. Because the tool itself, Peterson says, “is agnostic and data-driven,” the ACLU reports are designed to guide the use of it toward a more humane justice system. That, to Peterson, is important, because there’s a limit to relying solely on the data depicted in the Forecaster to make policy decisions. That limit is especially apparent, Peterson says, in the effort to reduce racial disparities in prison populations. To use Oregon as an example, while black people make up just 1.9% of the state’s population, they account for 9.1% of people behind bars. Simply reducing the number of people in prisons, Peterson says, will do little to amend this disparity. What will, he says, are programs designed specifically to mitigate over-policing and sentencing in communities of color. That type of policy recommendation lies outside the scope of the forecaster, but is crucial for ensuring that prison-population reduction efforts also take into consideration and advance equity.